I have cleared all cache files in the browser. Tried removing the profile and starting again without any luck. Always have the same issue. @michael_t: Are you able to unlock 1Password X with the current beta? We've made some improvements to sign in and dealing with account changes. Let me know if it helped in your case as well! I'm a bit confused by your last screenshot but your earlier one I recognize immediately. It is a problem that we just fixed and published beta 1.11.3 to address it. It will take a few minutes for this new beta to appear in the Chrome Web Store. Please sit tight and see if beta 1.11.3 fixes things for you. In about 20 minutes from now you can go to chrome://extensions/ and click Update to get updated quicker. Please give it a go and let us know how it turns out. 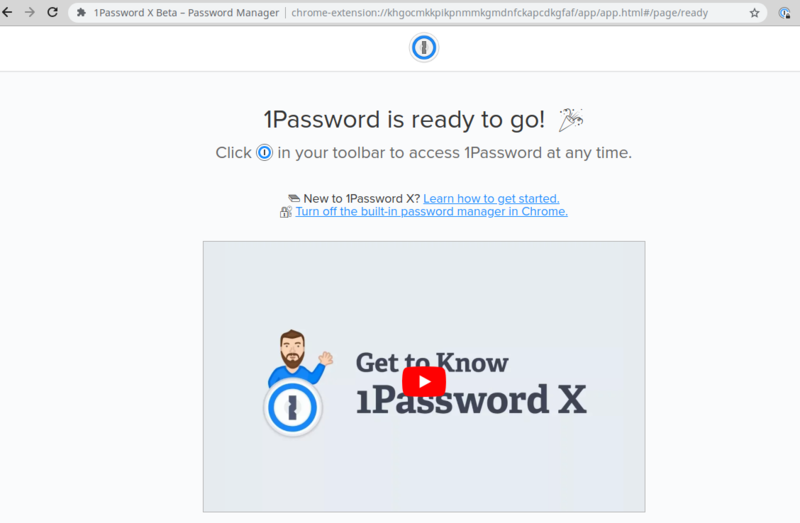 I believe you will need to uninstall your current version of 1Password X and reinstall to resolve the error in your last screenshot. I'm sorry for the trouble. This issue was all rooted in a change I made yesterday. @dteare Just an update to let you know that this is now resolved. I had switched to Firefox as I couldn't get it working in Chrome. I've just tested again in Chrome and it is now working with beta version 1.13.1. May have been fixed earlier but I was unable to test. Thanks for your help! Awesome! Thanks for the update! Glad to hear that the beta helped.